TECNOSUBs greatest asset is its team. 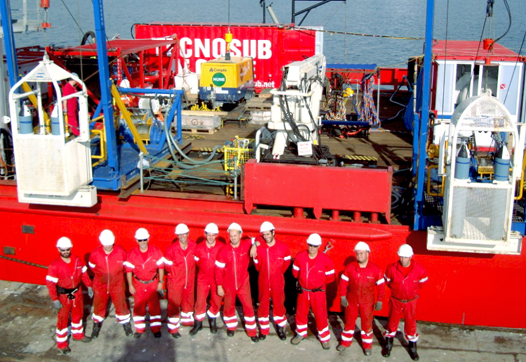 Tecnosub has wide experience in international operations in countries such as Libya, Algeria, Senegal, Guinea, Kazakhstan, etc. We have participated in major projects where we have over 50 divers at the same time.